Our best selling tongue cleaner. In noble brushed stainless steel, this tongue cleaner is convincing in daily use. This tongue cleaner is produced in the proven LinguaFresh production process in Germany. 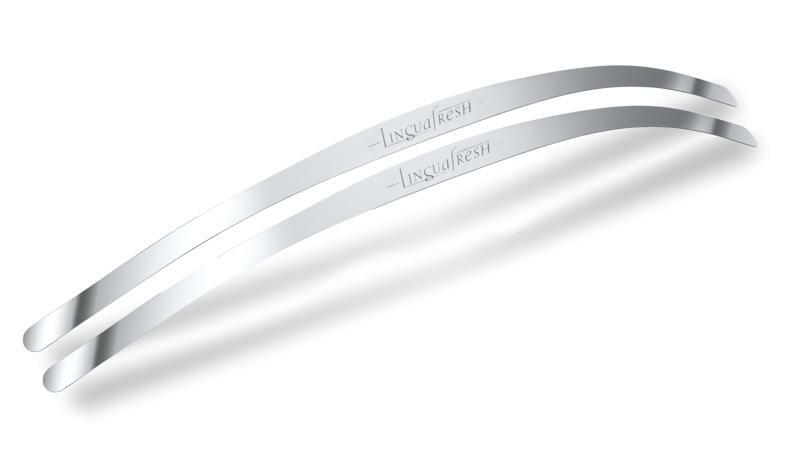 The LinguafreshSLIM tongue cleaner gently removes tongues from the tongue surface. Very cautiously and without side effects. Your breath becomes fresher, and the taste sensation improves drastically. Clean your tongue twice daily with the tried and tested LinguafreshSLIM tongue cleaner. You can always carry the tongue cleaner with you and clean your tongue easily and easily. 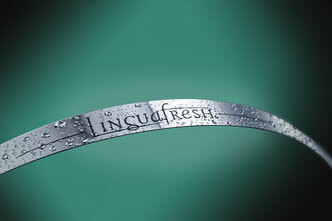 The tried and tested LinguafreshSLIM tongue cleaner in polished stainless steel look. Very high-quality appearance and yet cost-effective. 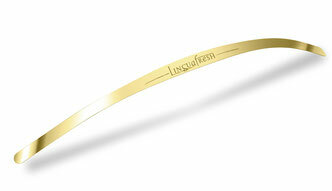 The LinguafreshSLIM tongue cleaner reliably removes tongues from the tongue surface. The tongue cleaner convinces with its easy handling and uncomplicated application. On the back third of the tongue remains a layer of food residues. This is an ideal breeding ground for bacteria which lead to diseases of the oral flora. The result of these are, among other things, periodontal disease and inflammation of the oral mucosa as well as bad breath. 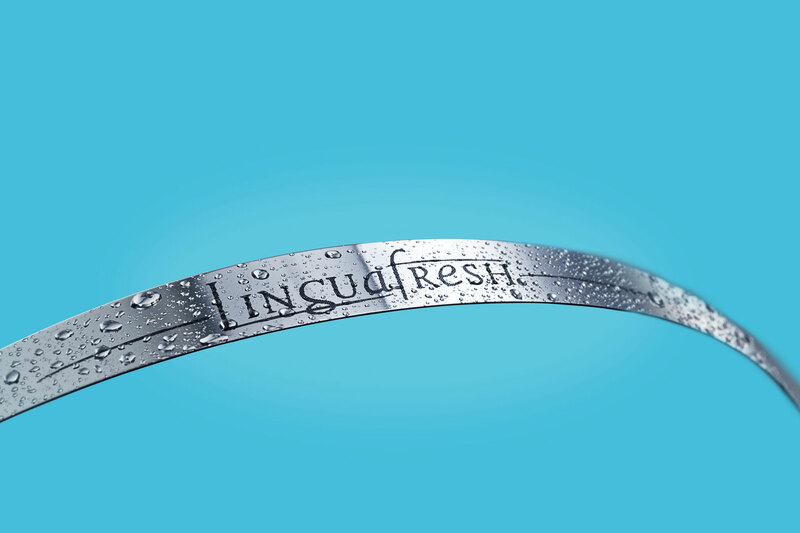 With the LinguafreshSLIM tongue cleaner you can remove the covering anytime, anywhere. The high end version of our tried and tested tongue cleaner - the only tong cleaner in real gold on the market. With a coating of 24 karat gold, the LinguafreshSLIM tongue cleaner is also an optical highlight in your bathroom and wonderfully as a high-quality gift. Many people suffer from oral glands. This is a result of bacteria in the oral cavity. These bacteria feed on tiny food residues that remain on the tongue. 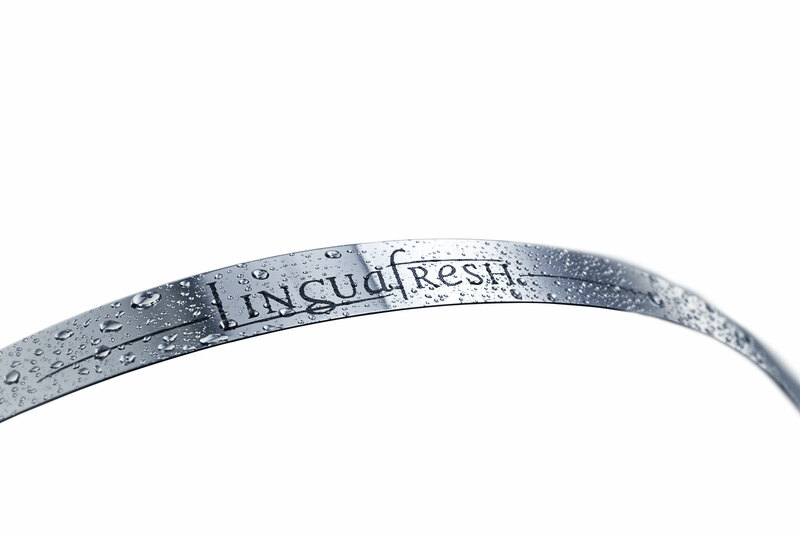 With the LinguafreshSLIM tongue cleaner, you can remove the pads permanently and thoroughly. Gain a new life quality through a fresh breath and an improved sense of taste.